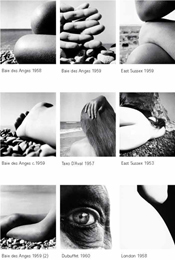 Bill Brandt (1904-1983) is regarded as England’s greatest modern photographer, and his centenary was celebrated with a major exhibition at the Victoria & Albert Museum. 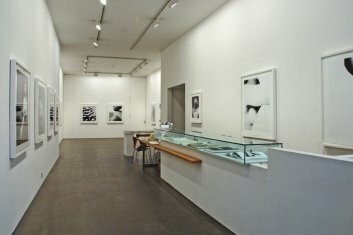 This current exhibition concentrates on large format prints of his famous series of Nudes from the late 1940s and 1950s. 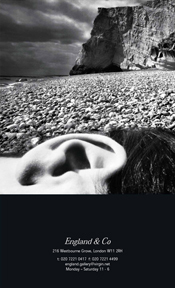 The exhibition includes a selection of surrealist drawings and illustrations from the same period by Bill Brandt’s brother, Rolf Brandt (1906-1986) the artist and illustrator. Although less known than his brother, Rolf Brandt was a distinguished artist in his own right, and this is the first time works by the two brothers have been exhibited together. The Brandt brothers were born two years apart, and a real affinity between them lasted throughout their lives. They shared tastes and interests, friendships and influences, and Rolf sometimes featured in his brother’s photographs. Although born in Germany, the brothers had British citizenship and came to live permanently in England in the mid-1930s, where in London they became part of the Hampstead intellectual and artistic scene. Rolf Brandt became interested in Dada and Surrealism in Europe in the 1920s, but it was not until the early 1940s in London that his drawings were first published. As ‘R.A.Brandt’ he established a reputation for his quietly haunting illustrations and delicate pencil drawings with an elusive, often eerie quality – his drawings were once described as ‘absurd as dreams and as mysterious‘. 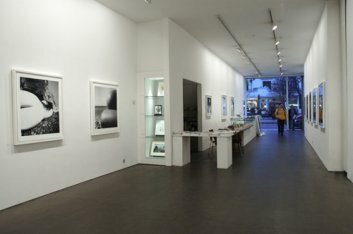 England & Co held a comprehensive retrospective of his work in 2004.